The ToneLib Jam lets you adjust the tempo of the currently-playing song without affecting its pitch. 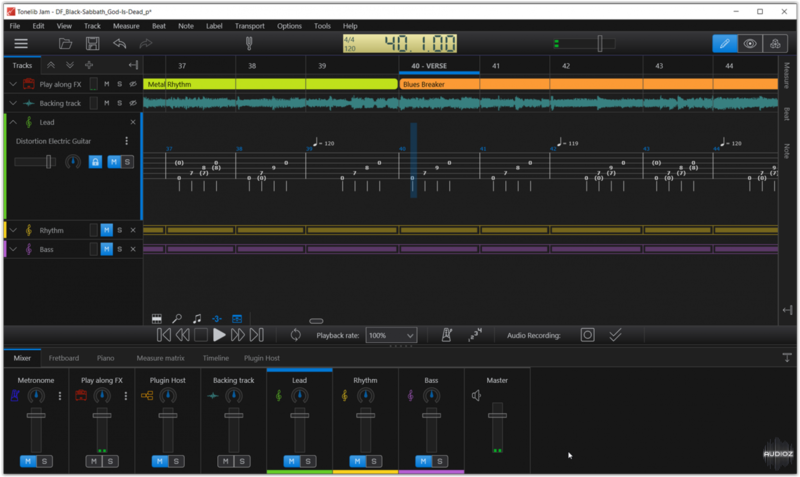 Combine looping with tempo adjustment to make learning even more effective. This is a fantastic piece of software, so underrated for tab! Tonelib offer several more free programs. Their website really deserve a visit. tested for the first time and,,, wow, this is very useful. I agree, it's not that bad. And if you use any Zoom device, they have a Zoom editor that's better than the official one, including the possibility to edit devices that are not supported by the official one.